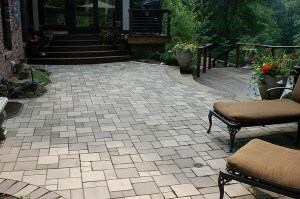 Whitacre Greer fired-clay brick pavers are available in several sizes and thirteen standard colors. The availability of unique paver sizes permits the creation of extraordinary blends limited only by the imagination. The clay brick paver patterns below have been used successfully in the past. All Whitacre Greer pavers are dry-pressed and kiln fired at temperatures of approximately 2000 degrees fahrenheit. During the process the raw materials begin vitrify or melt together into a product that is both beautiful and durable. Contact your sales representative to learn more!